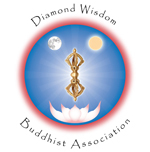 We are an Alaska non-profit organization created to promote spiritual and cultural values in the community through propagating Buddha-Dharma. We transmit the methods of Hanmi Buddhism. Releive Stress, Increase Health, Have Wisdom Revealed. The Chinese Esoteric school uses the practice of Union of the Three Mysteries to do meditation or self cultivation, which we call dharma practice. Although the practitioner may be seated and still on appearance, it is quite active, a most effective means to reduce stress, wandering thoughts, overcome obstacles of health, and conquer the resisting mind so that one may enter the state and have wisdom revealed. Ask about our special workshops: Medicine Buddha and Prajna Akasagarbha. If you would like to host a teacher tocome to your town to teach a weekend workshop, please contact us for further information.